This week we celebrate all things local! Get in on the action and spend your money on your local economy this week. Laboratory5 Inc is a locally owned business so naturally it is important to us to promote and celebrate all of our localists in AZ and around the country. Saturday, June 25, through Monday, July 4. Check out some of your favorite local shops and business this week and get in on some great deals. Grab your golden ticket and get to shopping! The “loss of the book” debate continues and after a discussion about it a recent Jackalope Ranch meeting this Thrifty Maker had to reveal a recent gift received. After a friend’s father became too blind, at 86 years old, to use his Kindle it was passed on to me. As the debate continues, reading will go on in both print and electronic formats. However, for those who fear the wrath of the die-hard old school print version readers why not make a Kindle Cozy to hide what your really up to? 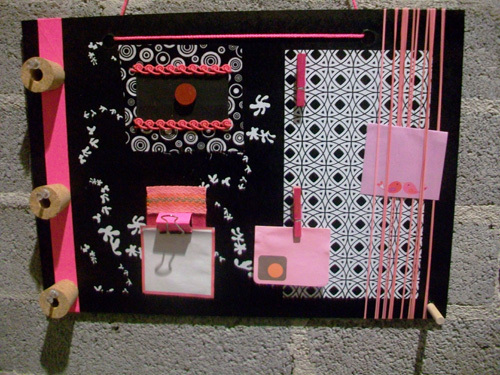 Tonight I am doing a YUDU workshop at MADE with Sarah of 26-Letters. 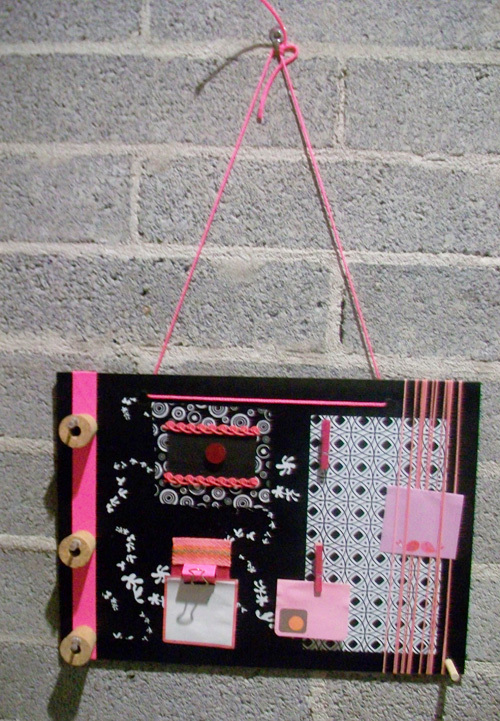 I made this great inspiration board by spray painting a piece of masonite black, drilling two holes at the top, screen printing it with white patterns and then adding ribbon, rubber bands, cork, magnet and clips. Want to learn how? Join me at the workshop. Ready To Kick It Halloween style? This month of October is my favorite. I love fall and super deluxe love love love Halloween. So I will be posting a Halloween goody everyday of the month – yea! 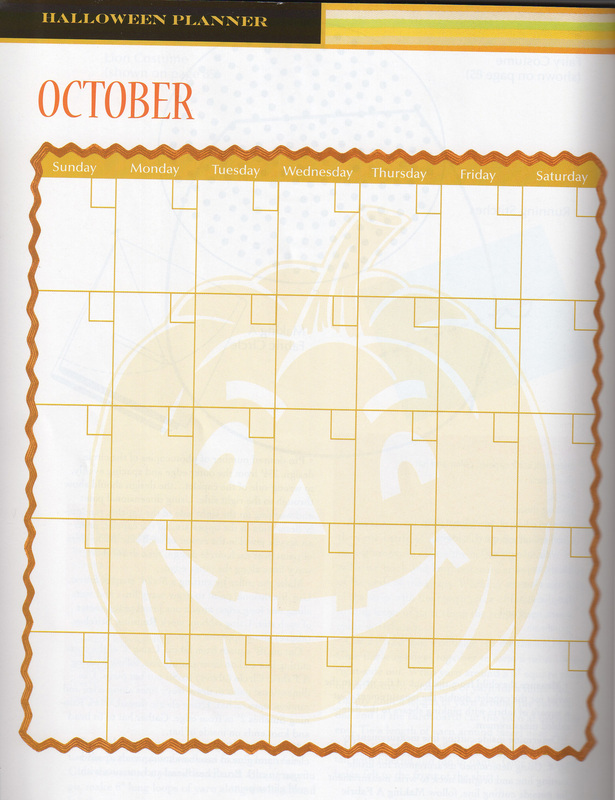 I recently found this Halloween / October Planner in the Goose Berry Patch Magazine. I did a rough scan but you could make your own or buy the magazine – it’s on news stands now and filled with Halloween ideas. Happy Haughtings!